One of the popular and most sought after rubber product supplier is located at Pasadena, California. Lusida Rubber Products, Inc. is specialized in the manufacture and export of industrial rubber components. They are extensively used in the field of engineering and industries. The industrial rubber components are best known for their tensile strength and resilience. They also deal with customization of various rubber components that comply with the demand of the valued clients. Lusida have produced durable and top quality automobile rubber parts catering to the needs and expectations of customers. They do manufacture a wide range of automobile rubber silencer parts which is rigid. Each rubber components are supplied in standard grades within a short period of time. 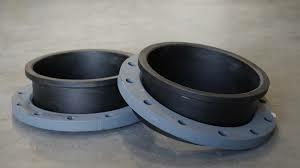 The company manufactures HDPE pipe joining gaskets which is best known for durability. Furthermore, top quality rubber products are also manufactured at a reasonable price. At Lusida, they provide technically updated range of Pharmaceutical Rubber Wads which has a very high compressive strength. They meet the high quality standards since it is prepared by a team of highly skilled and industrious engineers. All the orders are processed and shipped through a reliable courier service company free of cost. The estimated transit time is about 3-4 days. Lusida Rubber Products Inc. is an accomplished supplier of rubber products in Pasadena, CA. USA. They have been dealing with the manufacture and customization of superior quality industrial rubber components sold at attractive rates.